Hotel Three Monkeys is located 500m above Montezuma, a place unique into itself, with astounding fauna and flora, wonderful dining for any budget, and close to the Cabo Blanco National Park.The hotel is just a few minutes from the beaches, restaurants, shops, and fun nightlife of Montezuma. 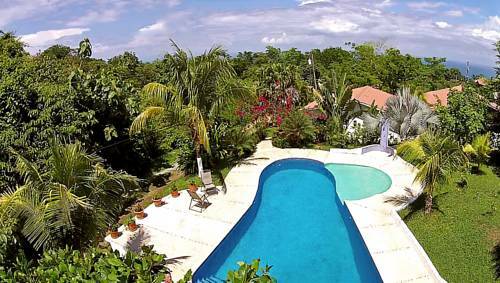 This hotel is a little gem in paradise that offers an unparalleled Costa Rican experience unique to the Nicoya Peninsula. 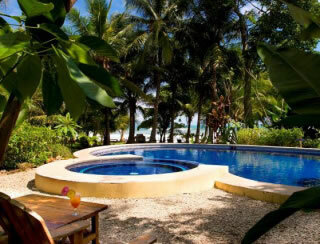 The private rooms offer views of the Gulf of Nicoya and the Pacific Ocean, basking in the Central American sun and enjoying the sweet caress of the cooling hilltop breezes. Each spacious rooms offers one queen size bed or two double beds, air conditioning, TV, refrigerator, coffee maker, and private bath with hot water. 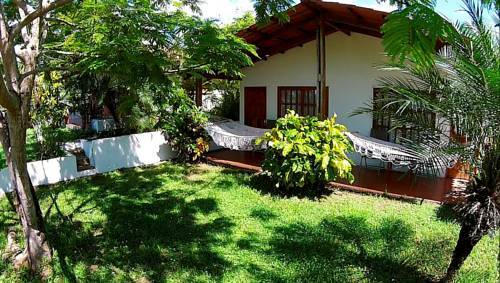 There is a Veranda with hammocks near the swimming pool. Other services offered are: safe parking and WiFi throughout the property. The beach beckons below, the jungle sings all around with visiting wild monkeys. 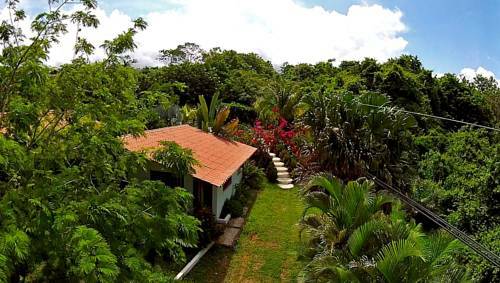 It is truly the perfect place to chill out on your brisk journey through this part of Costa Rica or on your long travel in our sweet little corner of the world. 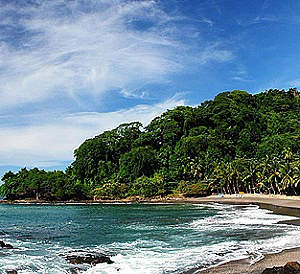 Cabo Blanco National Park, the Turtle Reserve at Playa Grande, surfing, golf, waterfalls, horseback riding in the jungle or on the beach, sportfishing, canoeing, snorkeling, dolphins and whales spotting, yoga, a yearly film festival… are just some of the activities that can be enjoyed in the area.